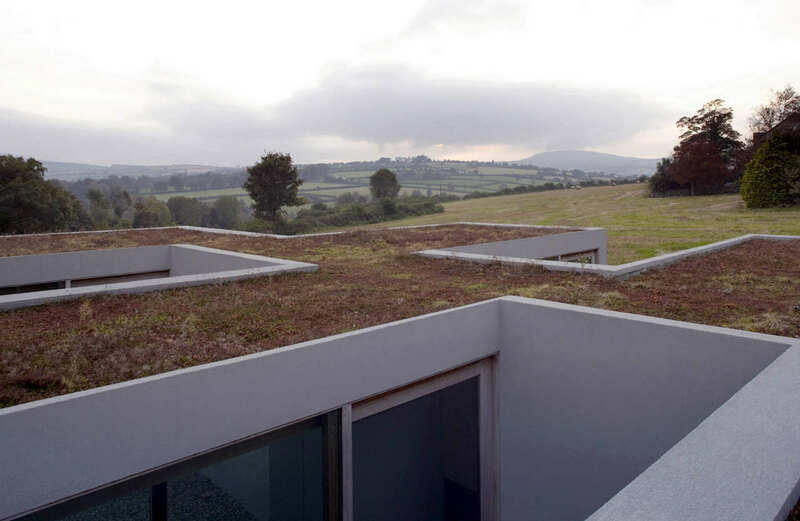 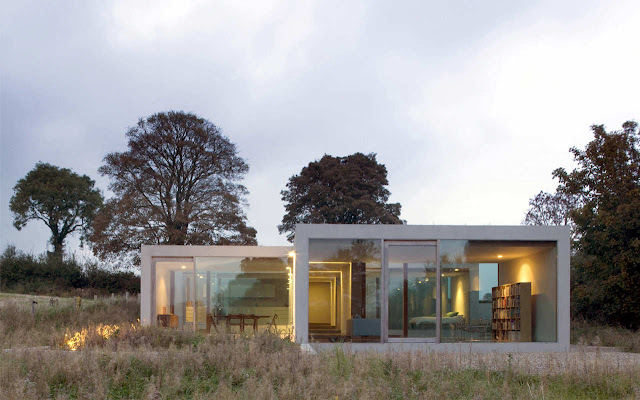 This small house of 100 sqm in Bohermore, Ireland, designed by Dublin based Boyd Cody Architects, features an interesting layout with parallel cubic volumes, internal courtyards, planted roofs and minimum detailing and palette of materials. 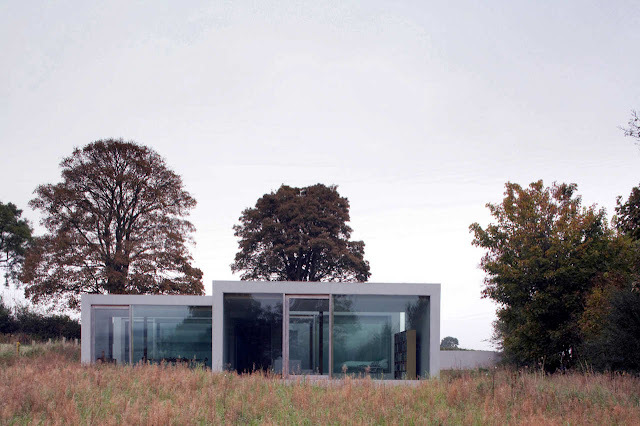 This small rural dwelling, 100m2, is located in the corner of a field on the edge of the village of Graiguenamanagh, on a south-facing hill overlooking mount Brandon. 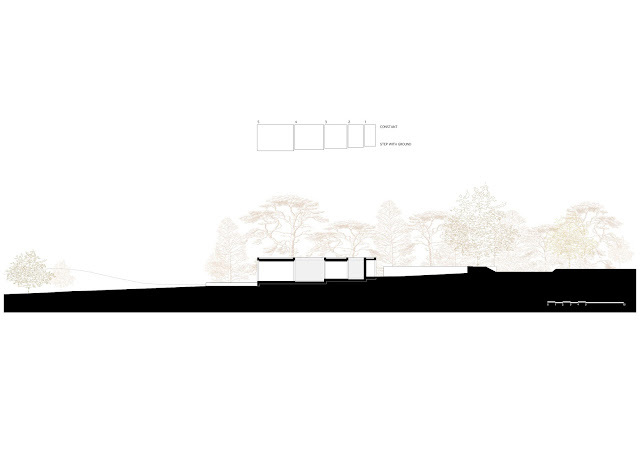 Two boundary walls one retaining the other freestanding form a forecourt off the public road and anchor the building to the site. Set within a square footprint of 15x15m, five single storey volumes, increasing internally in width from 1 to 5m and in height from 2.1 to 2.7m in step with the landscape, descend down the hillside. The volumes are drawn apart to create a series of open-ended external courtyards between the rooms of the house, potentially doubling the perceived area of accommodation. 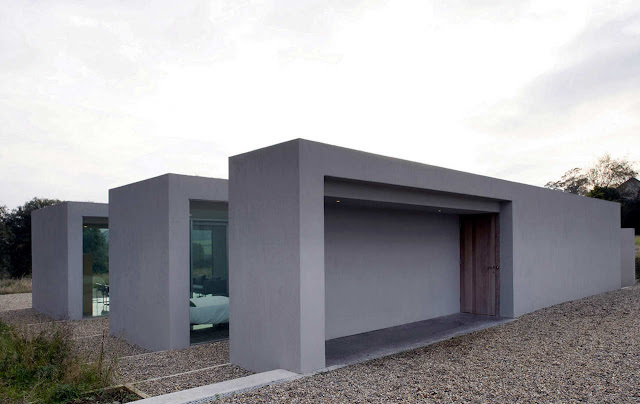 The dwelling remains closed to the road, where a recessed entrance formed out of the first volume makes a covered threshold. 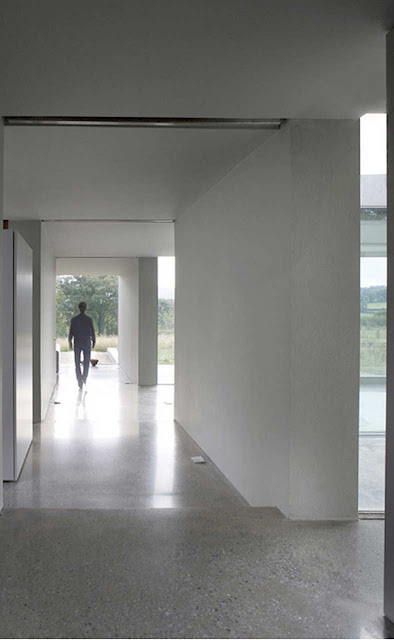 A doorway set between two parallel walls leads into the enfilade of rooms that in turn open to the courtyards and meadow below. 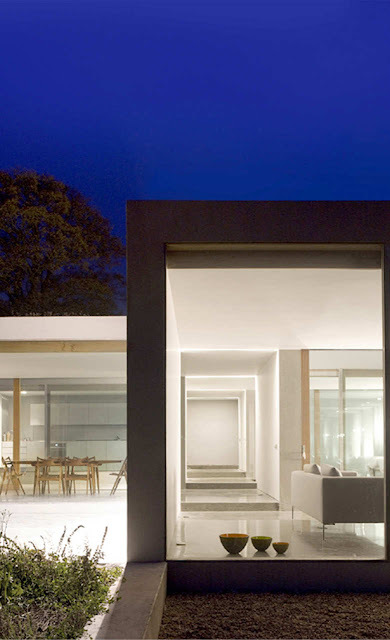 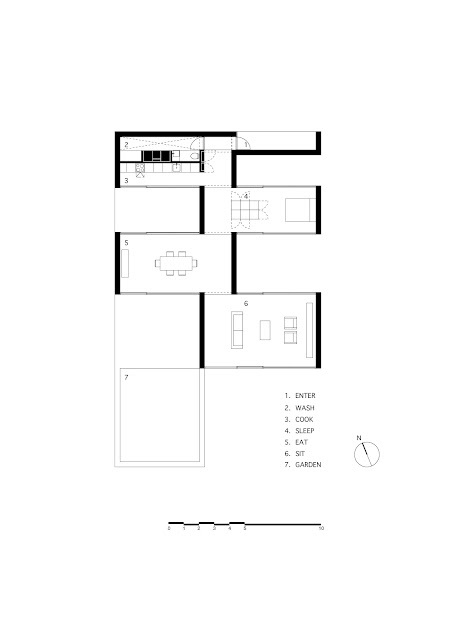 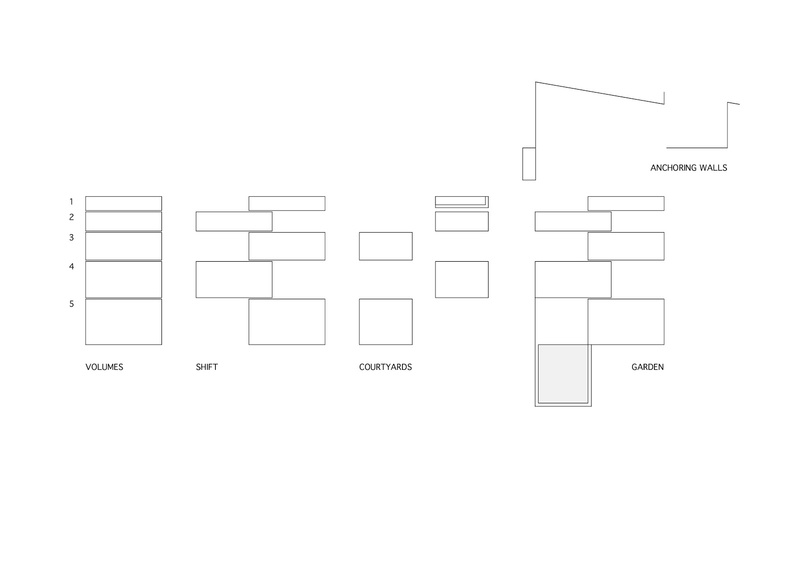 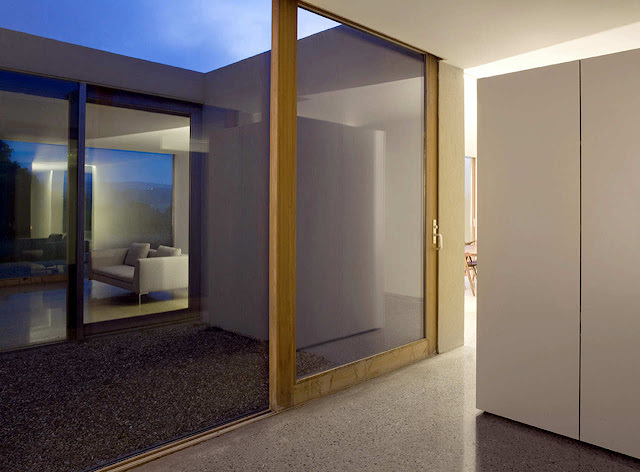 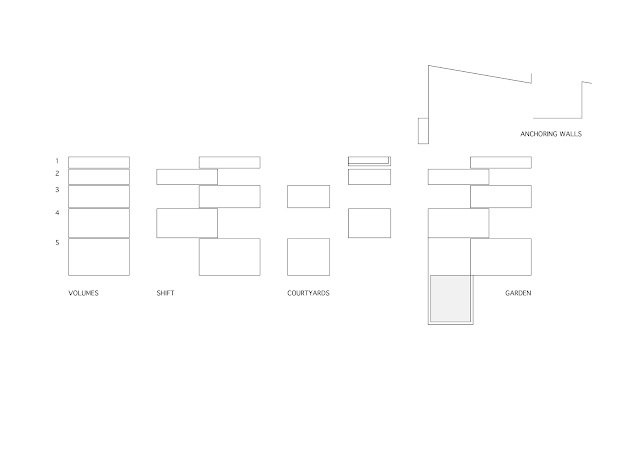 A simple, economic and unembellished palette of materials is employed to reinforce the concept of the house. 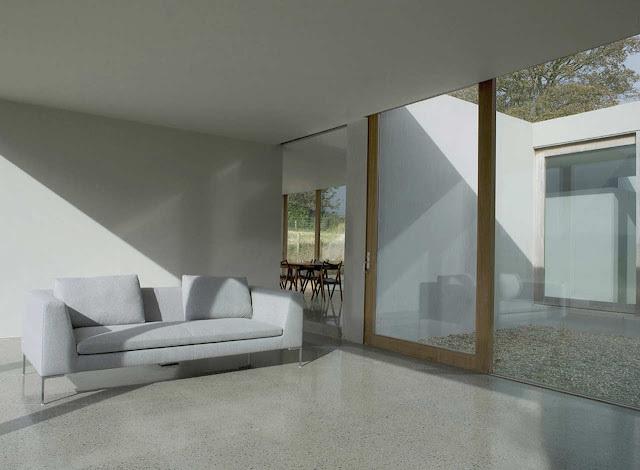 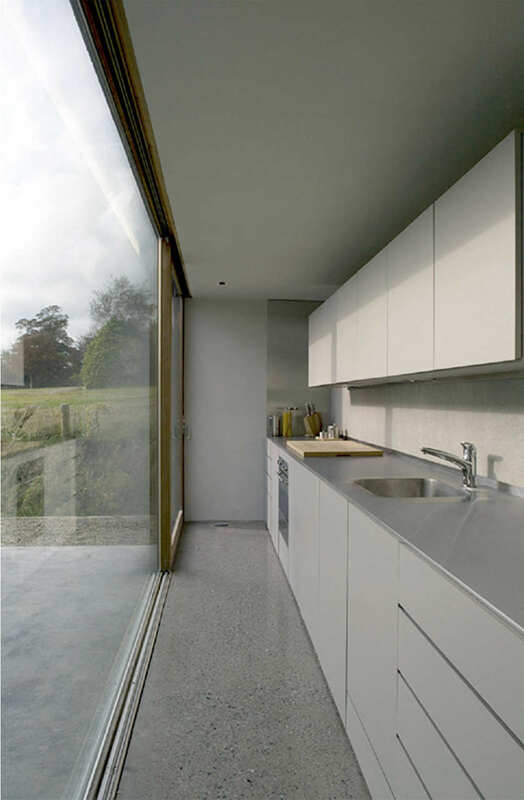 Walls are rendered externally and in part internally; a polished concrete floor is used throughout extending in part into the courtyards. 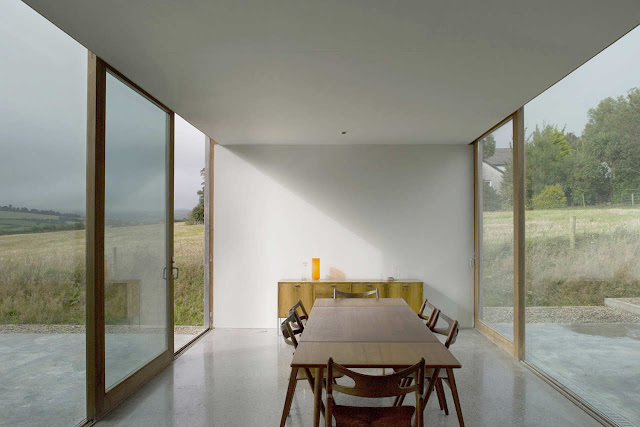 Iroko sliding timber screens form the intermittent glazed walls to the open side of the volumes. The roof is covered with a sedum blanket to replace the building footprint. 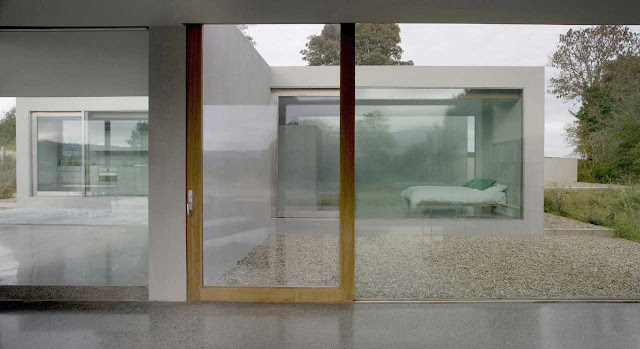 A gravel forecourt and pathway extend around the house with a series of stepped gardens set out along the eastern edge mirroring the fall of the rooms inside and the meadow below is reinstated.